Playing sports at any level of competition, from pickup games in your backyard to collegiate and professional levels, provides many benefits. From improving cardiovascular health to improving your feelings of self-esteem, sports can impact your life in significant ways. But your success in sports, and even what you can expect to get out of the experience, is dependent on many different factors. Both mental and physical factors affect your performance in sports, so if you believe your performance is lagging, try to consider as many factors as you can as possible causes. Every task you can imagine in sports, from throwing a ball to jumping over a hurdle, involves the action of your muscles. Some sports, such as powerlifting, require a high level of muscular strength to produce a brief but powerful force. Others, such as marathon running, require incredible muscular endurance to sustain the strength to move your body for hours at a time. You can improve your muscular strength and endurance by practicing your particular sport, as well as working out in the weight room. A research review from the December 2004 issue of the "Journal of Exercise Physiology Online" suggests that performing workouts with heavier weight and a lower number of repetitions are better for strength, while working with moderate weight and higher numbers of repetitions is preferable for muscular endurance. 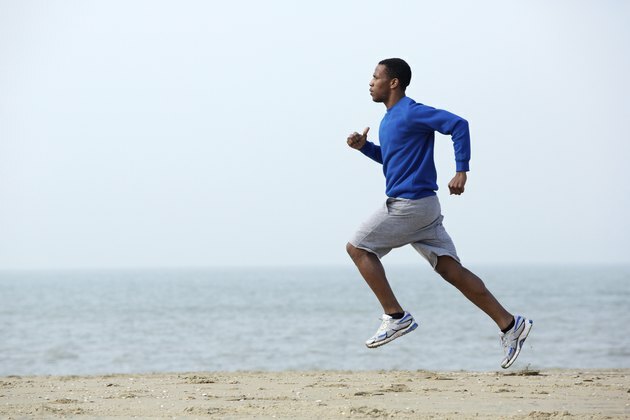 The muscles that you can see aren't the only muscles that impact your sports performance. Your heart, which is part of your cardiovascular system, is crucial because it ensures that oxygenated blood reaches muscles throughout your body that help you run, jump and throw. To improve your cardiovascular capacity, perform cardio exercises such as running, swimming, aerobics or even dancing or dance-inspired workout programs such as Zumba. Being confident in yourself, your teammates and your skills is vital for sports performance. Having confidence will give you a positive attitude and help you visualize and achieve success. If you are not confident that you can beat your opponents or improve upon your previous performance, your negativity may prove you right. According to Jim Taylor, Ph.D., confidence is "is the single most important mental factor in sports," so you should not overlook this factor. Many sports are just as much a mental game as they are a physical one, so strategic thinking is an important factor for success. Thinking strategically means you understand how players interact on the field or court and how you can employ plays that will help you defeat your opponents. By anticipating the moves of your opponents and reacting to plays as they develop, you can greatly improve your chances of winning.